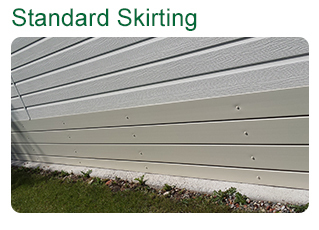 Stylish skirting provides the finishing touch to your decking and can also offer an additional storage solution. 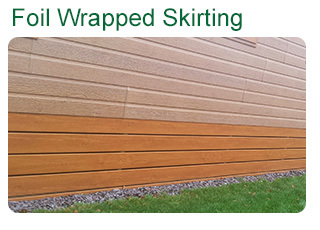 Skirting is available in the full range of colours and finishes, providing the perfect match for the balustrade to complete your installation. It can be configured to fit different shapes, sizes and plots, on flat or sloping ground, and is an attractive way to hide away any unsightly services to your caravan/lodge. Access to services can be facilitated with hinged and latched doors.